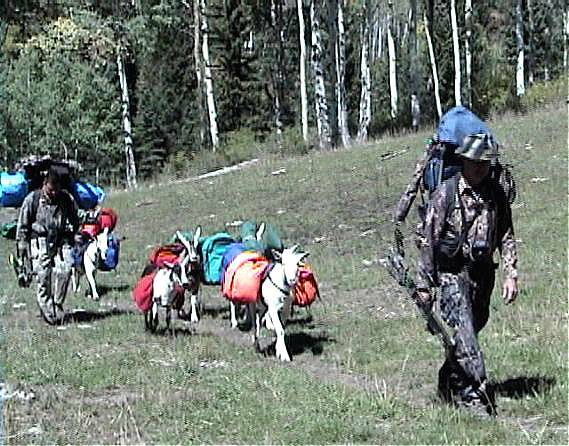 Hunting with goats is to your advantage. Go into the backcountry with no limits. 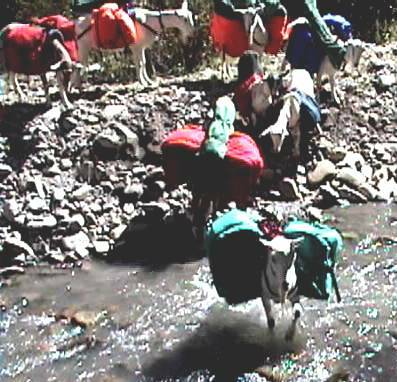 Camp where you want, stay as long as you want, and one person can take out their elk; someone's got to lead the goats. 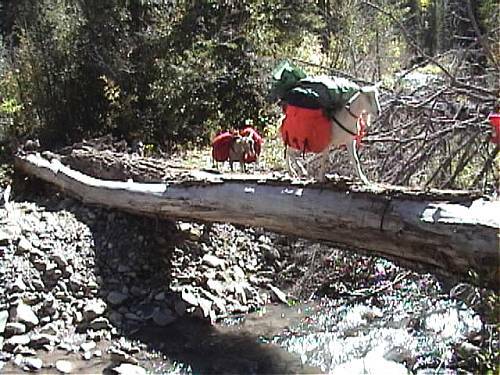 This is as close to backpack hunting as you can get. 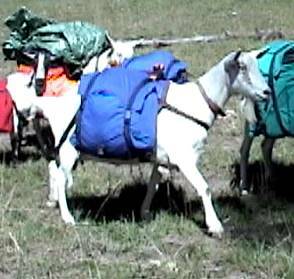 Goats are safe, affordable, and easy keepers. 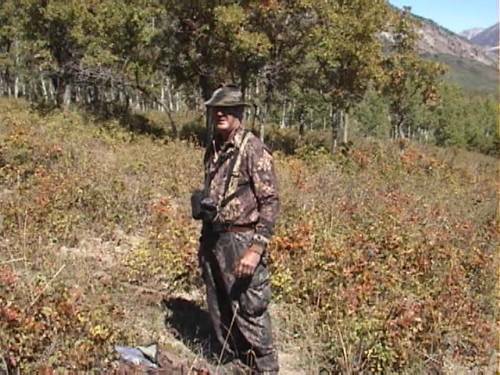 Outfitters serve a great role in big game hunting, but you can be your own outfitter. 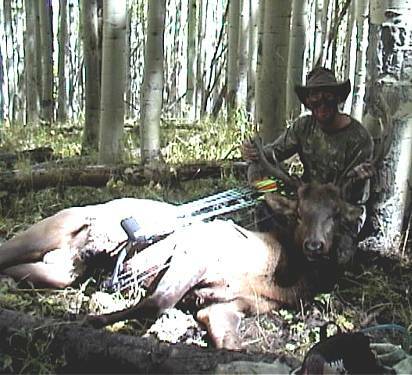 We hunt on public lands with outstanding results, you can too. 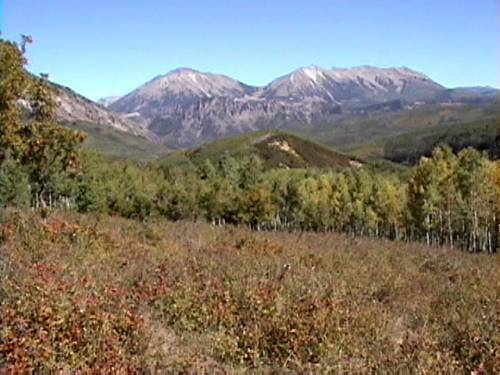 Hunting with pack goats lets you go further into the backcountry to where the elk live. 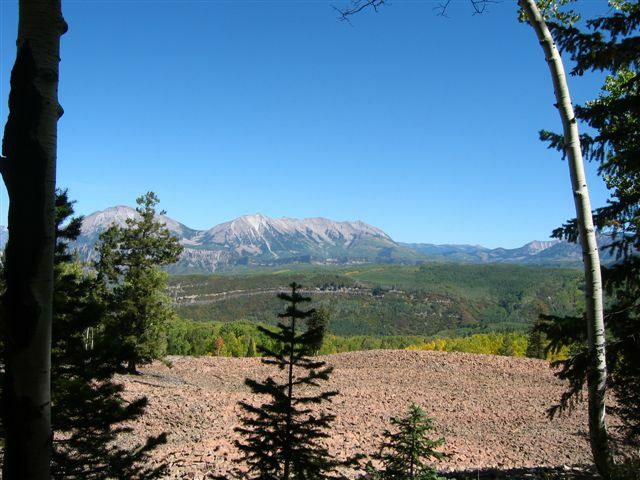 2003 treated us to blue skies, bugling bulls, and memories to last a lifetime. 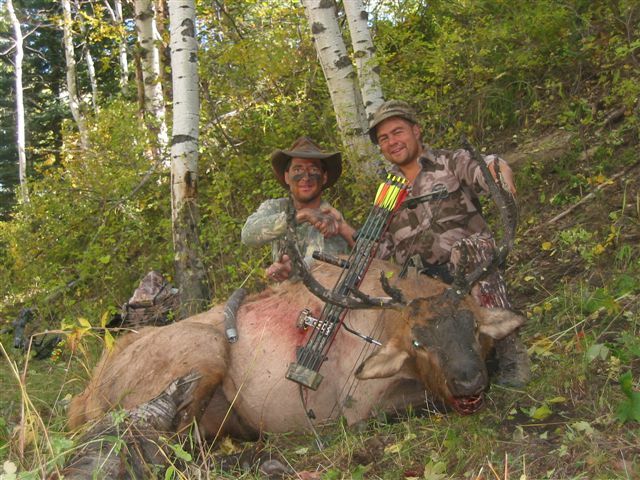 Get some goats and hunt where the elk are.